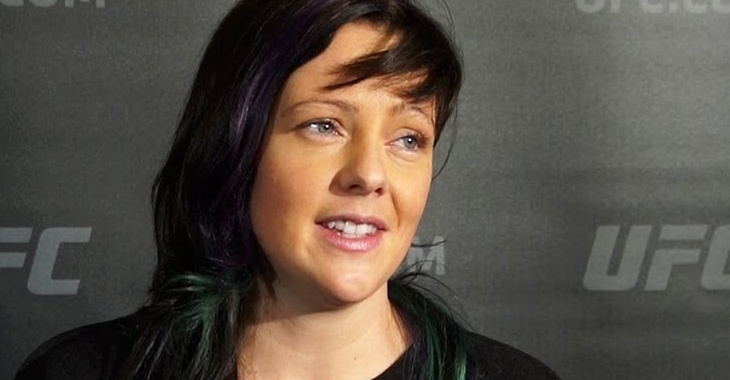 Things haven’t quite panned out to this point for Scotland’s most popular fighter, Joanne “JoJo” Calderwood since starring on season 20 of The Ultimate Fighter. She was one of the most hyped and promising fighters going into the tournament and one who many thought would definitely become a champion one day. 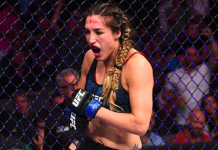 But the path to the title has been a bumpy one with as many mental setbacks coming along the way as there have been physical ones inside and around the cage. One of which including a camp change from her longtime home in Scotland at Dinky Ninjas Fight Tram to the Griphouse to gym highly accomplished TriStar gym in Canada. According to an Instagram post from Calderwood today, it appears that her time with one of MMA’s best gyms is over. In Calderwood’s last so many outings, she has struggled with making the 115 lb Strawweight limit and has even expressed interest in fighting at 125 lbs in the Flyweight division. 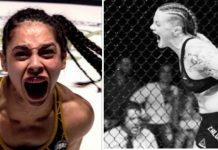 Matter of fact, her and former Strawweight title challenger turned Bellator Flyweight, Valerie Letourneau actually fought each other in the very first UFC Flyweight fight ever. That fight took place in June of 2016 and was Calderwood’s last win as well as her first fight with TriStar. 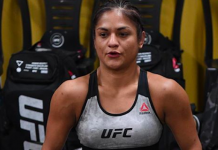 She’s lost two in a row since then(both at Strawweight) to top contender, Jessica Andrade and Cynthia Calvillo(a fight that Calderwood very strongly feels she deserved to win). Calderwood was supposed to fight Bec Rawlings in a Flyweight matchup at UFC Fight Night 121 in Australia before pulling out of the fight for undisclosed reasons. What’s next for the Scot? This article first appeared on BJPenn.com on 12/27/2017.